You got some old, lingering, java exploits there. Please completely uninstall all versions of Java. Java is a "dangerous" program to run anymore. There are a multitude of exploits. I've been running Java free for nearly two years and most users find the don't actually need it. I suggest you try without java for a while. If you find you do need it... then install the current version by going here. You want to scroll down to where you can download JRE. This will give you Java 7 update 45. Hello the Java was completely uninstalled and new version installed. Antivirus also disabled. 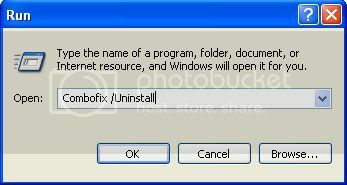 "c:\users\tamlaz1986\AppData\Roaming\1O1L1I1PtF1F1C1N\Adobe AIR Free Download Packages\uninstaller.exe"
Looks good. Unless you are having other issues... we can clean up and you can get back to Christmas Shopping. You can delete any of our tools left lying around on your desktop. I'm all done with my shopping but yes, that sounds like a plan. Thank you once again for your help and Happy Holidays! Edited by cobycoban, 18 December 2013 - 04:29 PM.